Color lasts up to 28 shampoos. Glossy and natural looking color in just 20 minutes. Offer : Free Earrings Worth RS.599 Inside, Hurry offer valid till stock lasts. Explore the entire range of Hair Color available on Nykaa. 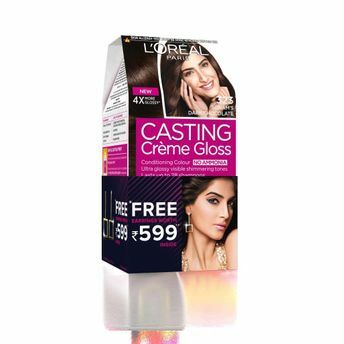 Shop more L'Oreal Paris products here.You can browse through the complete world of L'Oreal Paris Hair Color .